Stuck and Confused: Is it the Medication or the Bipolar? 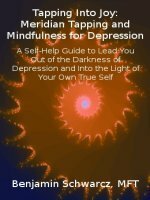 I have been treated for bipolar since 13 (I am 20 now), and I have always considered my treatment to be successful (I measure this by a lack of major episodes up or down). I have also been blessed with a what seems to be minimal side effects from Lithium and Seroquel, and Concerta. However, I am not at all content with my self because despite my long term stability, I continue to suffer from symptoms of something. I have difficulty putting memories together, I avoid socializing because I am still sensitive to peoples actions, I often feel passionless about anything and in times where I do feel passionate the most I can put forth is an insight after which I lose my flow. I rarely take risks because I rarely feel confident, and often when I do feel confident I quickly "self regulate" by over analyzing a situation to the point where I become indecisive. I am stuck with all this which I cannot rectify, and I am confused because I do not know what my medication is treating me for anymore. My brief memory of the year in which it was determined I had bipolar (pre medication) indicates that while I had clear episodes of bipolar and mania, many of the symptoms I've listed above were not a part of my life. And despite all I have said, I actually live a decent life with friends (though my friendships are not all I'd like), am a somewhat successful college student, and have a good family life. Yet I feel as though something is wrong with my life. My questions then are: is this a typical experience? Is it the bipolar or the medication or something else that may be contributing to these symptoms? If it is bipolar, are there things I should be doing besides medication to regulate (I do little else)? You are very clearly describing exactly what millions of other people experience when they are "stabilized" on psychotropic drugs. An excellent question: "Is it the medication or the Bipolar disorder?" This is not only a dilemma in the treatment of psychiatric disorders, but for other "chronic" medical issues as well. When the prevailing medical opinion of a disorder is the it is "chronic" or "incurable" it really leaves absolutely no option for every going off the medication. If a person continues to have symptoms, more drugs are added or dosages are raised until symptoms are at least "more manageable." And when a person appears to be free of any major symptoms, this is also justification to remain on the same amount of medication indefinitely, according to the usual mainstream medical wisdom - because "the drugs are working." So if a person explored other means of recovery and healing, and their condition actually started to get better, but they were still taking medication - how would they ever know that they were getting better? They wouldn't! They would be feeling the side effects of these potent mind altering chemicals and go on believing that they were actually just having residual symptoms of the disorder. All drugs have side effects. Every one of them. Some people are not very sensitive and may barely notice any side effects; while others are highly sensitive and have very disturbing side effects. And many people experience changes over time when they continue to take a drug for years; side effects may start to "show up" where they didn't exist before. with negative side effects on their long road to "stability." And for those that have reached relative stability on psych meds, they almost always seem to agree that their medication makes them feel passionless -- even emotionless - and for many, unable to even cry. This is certainly not true for all - but for many. Medication can cause memory problems and can alter the ability to feel connected to your emotions and express yourself in a confident and fluid manner. This is my observation as reported to me by many clients. Is this risk free? No. I've seen more people than I can count end up back in the psychiatric ward behind locked doors, because they were doing so well that they assumed they no longer needed their medication and stopped them on their own. (I'm saying this to give a balanced perspective and not mislead you into doing something reckless and dangerous). Many psychiatrists will oppose you if you tell them you want to go off your meds. But most will cautiously taper the does of certain meds if you tell them you want to try that. I believe that is simply responsible medicine - to listen to your patient and empower them to make their own well thought out choices. A 20 year old is very different than a 13 year old. That is a long period in the development of your brain and your Self to be under the influence of medication. With or without changes in your current medication regime, having ongoing psychotherapy could probably help you tremendously. All of the issues you've mentioned could be helped at least to some degree with therapy. But in the course of therapy, you may find that some of your medication is not serving you the way you need it to - or it's doing "more" than it needs to. And may be impeding your progress. Then it would be important to have a plan with the cooperation of both your psychiatrist and therapist. Therapy can do much of what medication does, without any dependence or side effects. Sometimes both are needed. But if you rely only on meds, you are short changing yourself. Last I must say, it takes a very high level of discipline, self-awareness and health-consciousness for a person to find stability without psych meds, when dealing with a diagnosis of Bipolar. If you were taking supplements, for example, in place of medication, you would have to take them with the same diligence as your medication, and would have to minimize or eliminate alcohol and other drugs from your life, or you would be setting yourself up for failure. Always have a good safety net, a good plan, and a good support team behind you - and you can live a free and happy life.